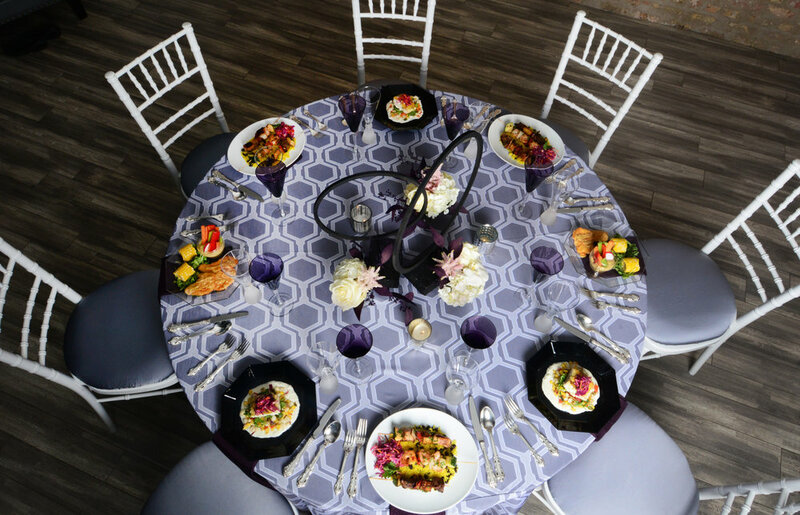 Offering a fully private rental for up to 100 celebrants, Aubergine is ideal for business meetings, dinner parties, anniversary celebrations, bridal showers, birthday parties, Sweet 16’s, quinceañeras, and other special events. Aubergine is optimal for up to 70 celebrants seated and 100 for a cocktail-style event. Interested in learning more? Complete the form below and we will connect with you shortly. Package rates are inclusive of set-up and break-down times. Additional Hours on each package: $125/hour, pending availability. We welcome outside food and drink or are happy to recommend one of our catering partners.